FLUID TECH SYSTEMS commenced its business operation in 1993, under the able guidance of great visionary leader Mr. Mansukh Patel. What started off as a modest production capacity plant is today is one of the largest producers of Rotary Gear Pumps in India. 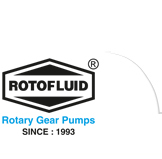 Fluid Tech Systems has various types of Gear Pumps under the Brand name of “ROTOFLUID” considering the need of common requirement of Gear pumps for various industries. Due to the quality and reliability, “Rotofluid” brand has been very well accepted in the domestic and overseas market. Fluid Tech Systems’s strength are its richly qualified team including it Engineers, Promotors, its proactive quality culture and its policy of winning and retaining customers. We, at Fluid Tech Systems’s believe that customers are the very essence of our business and to provide them with innovative and consistent products to suit their specific applications is our core focus. The factory today houses a large ‘R&D’ Laboratory & ‘Automated Lab Testing Bench’ for testing the Rotary Gear Pumps. It is equipped with latest machineries required for product development and works in close conjunction with our customers in meeting their required end application. Our motto is “Let our Quality speak for itself”.